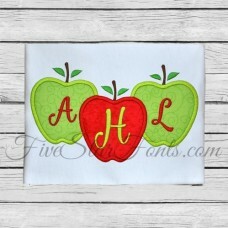 Perfect Design for 3 letter monograms! 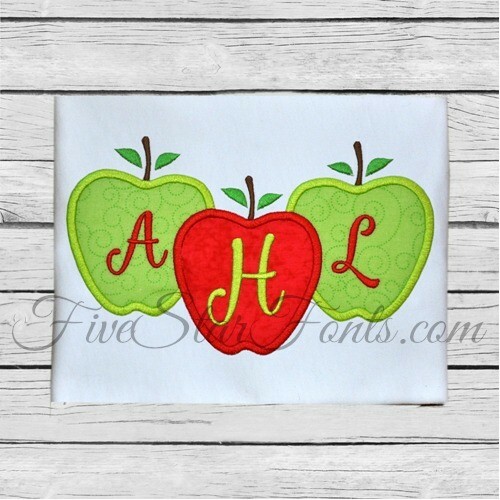 Sweet Trio of apples, perfect for school or fall stitching. It's simply sweet and FAST too, just 2 pieces of fabric! And isn't it the perfect design for 3 letter monograms. The font shown is one we are working on called 'Smoothie Shoppe Embroidery Font'. It will be released next week and looks darling with this design as a 3 letter monogram.